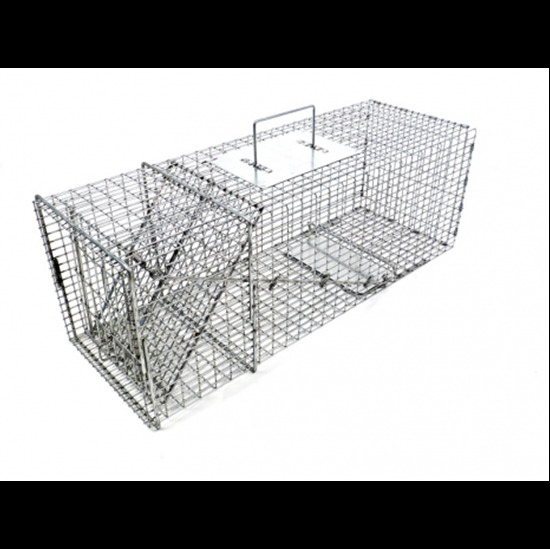 Model 106SS is a professional trap for opossum, cats, rabbits and similar size animals. This trap measures 26Lx9Wx9H. It features a very strong wire frame with tighter mesh patterns and extra reinforcing steel rods for even greater strength. These traps have the same great design as our Original Series traps with stronger materials and more demanding specifications. Tighter mesh patterns not only give the trap additional strength, but also prevent critters from reaching into the trap and stealing bait, and reaching out of the trap and damaging lawns, roofs, decks, and other property.